Anyone else watching "The Outsiders"?? 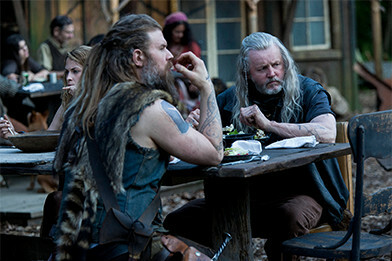 Pretty good so far, not "Vikings" good but I like it..
Actually no Harley's. These are Hill folk in the Appalachia. They are way off the grid and now a coal company wants them to move.. They have little contact with the outside world..
Looks like farmers market in Nelson bc. Got lots of....people(?) here that dress like that every frikken day. I wanted to see the Cherry, not the pits. Thanks, she pretty and not looking like a whore, what a nice change. Is that the program that has some dude living in a cave, another living in the hills of Idaho, and a few others? Kim wrote: Is that the program that has some dude living in a cave, another living in the hills of Idaho, and a few others? No this is in the Ozarks somewhere. There is an off the grid clan living up in the hills who do not want to be bothered. Coal company comes along and wants to mine the mountain they live on..